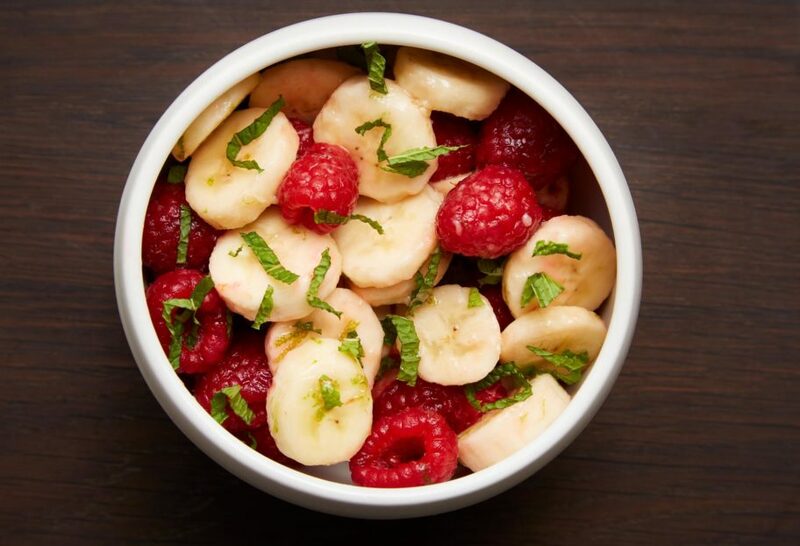 Add banana and raspberries to a medium bowl. Sprinkle in the lime juice, lime zest, and piloncillo over the fruit and toss until coated. Sprinkle with fresh mint.